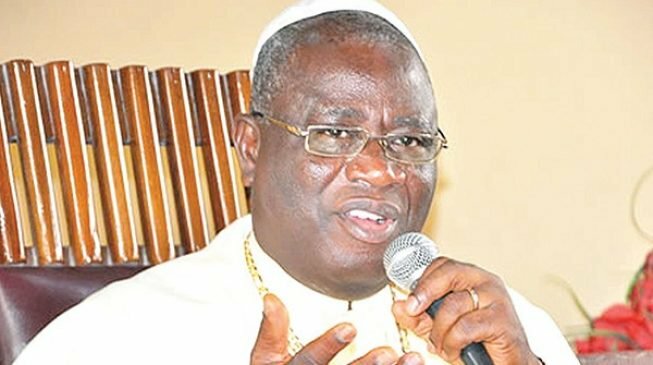 Kalu Uche, prelate of the Methodist Church of Nigeria, says Christians will vote against religious bigots, tribalists and wicked people in 2019. Uche said this on Sunday while delivering a sermon at an interdenominational church service to mark Democracy Day at the National Christian Center, Abuja. The cleric, speaking on the theme ‘I See Hope’, said peace can only come through servant-leadership style, tolerance and fairness from leaders who know that “though tribes and tongues may differ, in brotherhood we stand”. Uche said the absence of peace and politics devoid of level playing field were responsible for the current tension across Nigeria. He said: “Though it is said that the worst of democracy is better than the best form of dictatorship, under democracy, our leaders have failed, toying with the nation’s democracy. Our people cannot even organize simple party primaries. What a shame. “We will work against all those who plan to manipulate elections in Nigeria in 2019. “We will never allow that. And let me tell you that if they fire their bullet at us, it will not penetrate because God is with us. The God of Elijah and Elisha is our God. “We will no longer allow impunity to reign in this country and I don’t belong to any political party, but I can influence at least two million Methodists in Nigeria, I can also influence other Christians. “We will never vote in anybody that is lazy, anybody that is wicked, anybody that is a religious bigot, can never smell any office in this land. Those who mean well for Nigeria, God will preserve them. 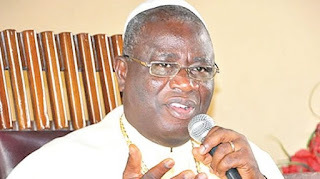 The cleric enjoined the federal government to allow the national cake to go round so that everybody will have a bite. He said those who trouble Nigeria are “bastards” and that “those who are planning to hurt Nigeria, God will annihilate them”. The cleric, however, assured that “Nigeria will work again”. At the service, Vice-President Yemi Osibanjo called on Nigerians not to look back despite the various challenges facing the country.